If you love movies, TV, and video games, then you've probably thought seriously about investing in a high-definition television set, otherwise known as HDTV. But before you run to your nearest electronic goods store, you should know what you're investing your hard-earned money in, which TV set is good for you, and other things that will optimize your viewing pleasure. The guide also shows you how to shop smart and lists the best places to buy your HDTV and popular accessories to pump up your system. 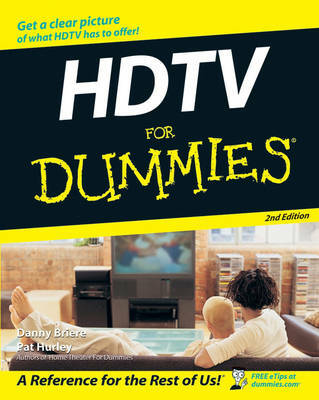 With up-to-date knowledge on the latest technology in the market today, HDTV for Dummies gives you a clear picture of what HDTV can do for your viewing experience!